Golden beaches, green waters, lush greenery, coconuts and wafts of delectable curries; Kerala offers all this and lots more. Kerala has been a thriving place for tourism and more than that a place where honeymooners find peace and can celebrate their love together. There are multiple places in Kerala to visit for honeymoon. Though Kerala is overtly popular with honeymooners, never is it found to be crowded beyond a point where privacy can’t be experienced. Besides being famous for backwaters and houseboats, it is also known for its diverse flora and fauna. It is also one of the most culturally rich states in India. With events like snake boat races, Kathakali and Kalaripayattu, dance festivals, you are sure to be entertained and have a wonderful holiday. What sets Kerala apart is that it is so advanced but yet so culturally grounded. You have so much to see yet so much time to be and spend with yourself. A trip to Kerala is incomplete without going to Munnar. Lush with foliage, every direction you turn in is worthy of a picture. Cold winds caress your face but at the same time the bright yellow sun shining down on you. 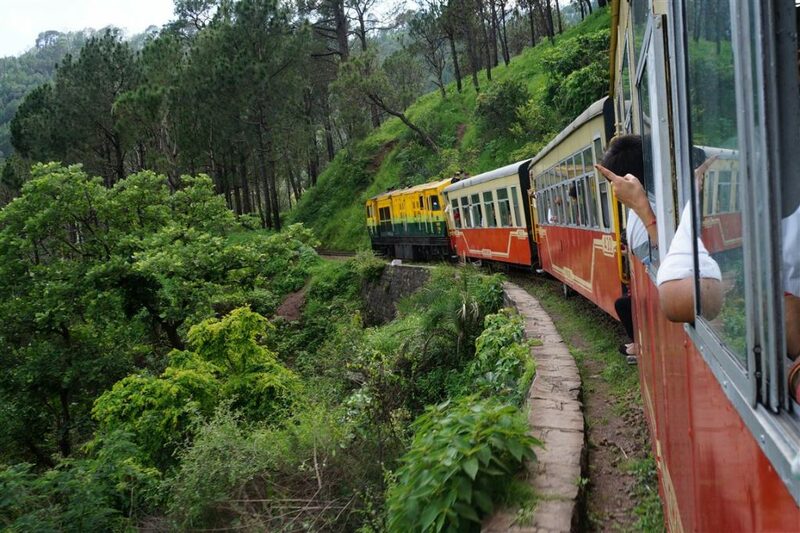 You can simply go for a stroll amidst the sprawling tea gardens or plan a trek and appease the adventure junkie in you. Another place worth checking out is Eravikulam National Park. This park has various breeds of birds and animals but the one that takes the cake is Nilgiri Tahr. This docile beauty is endangered and one of the few places you can spot it is in Munnar. You can also explore the beautiful culture of Kerala by watching a live Kathakali and Kalaripayattu performance. A dramatics centre in Munnar hosts visitors every day. This magnum Opus is not worth missing as it will open you up to so many aspects of our culture that you did not think existed. 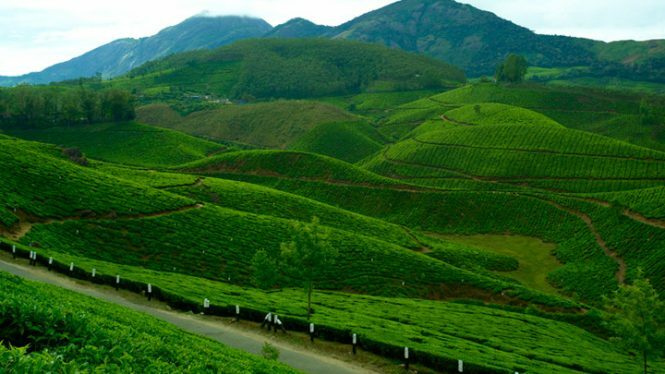 Munnar is definitely one of the best honeymoon places in Kerala. Thekkady is present at an altitude of 700 to 1900 meters. It is a beautiful and peaceful place with cold winds blowing and stroking you. Boating in Thekkady is reposeful yet full of life. Situated in the epicenter of the national park, it is not uncommon to spot baby elephants playing in the water and sometimes slinging mud at each other. It is a two hour boat ride that takes you around the jungle and is conducted five times a day. You can opt for a bamboo rafting programme as well which starts with a hike and ends with a 3 hour surreal rafting experience. It is a group programme and around 10 tourists engage in it together. You can also opt to simply walk through the thick forests and spot vivid flora and fauna. A guide will direct you in the right direction and offer excellent insights on the forest and the life there in general. 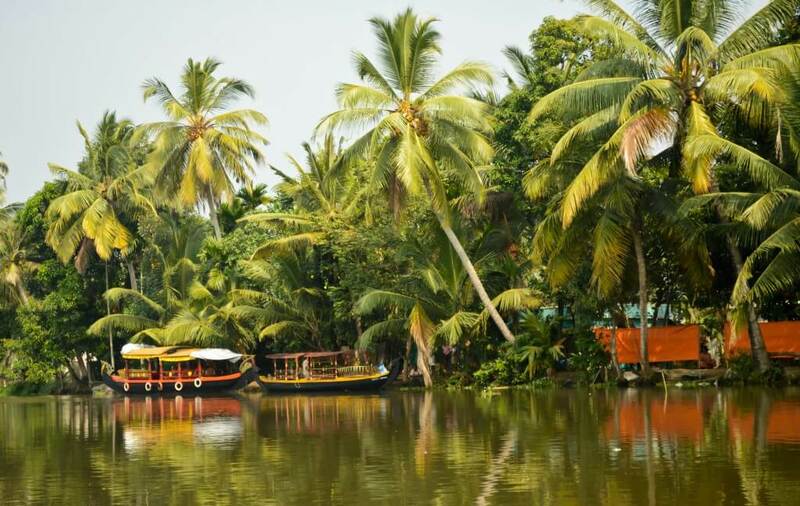 The real essence of Kerala lies in its backwaters. 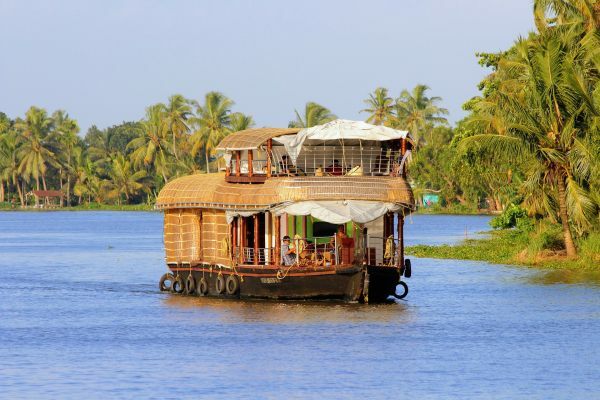 The backwaters are the most distinctive feature which sets it apart from all of India. The backwaters of Kerala are surrounded by lush greenery and small villages, the beauty and simplicity of which will blow your mind away. Taking Kerala honeymoon Tour Packages will definitely be one of the best experiences of your life. The major place from where you can take a backwater ride is Alleppey. Alleppey is a beautiful picturesque location from where various tours take place. They have multiple houseboats dedicated to make the couples’ honeymoon the best time for them. There are multiple activities around Alleppey that will enhance your experience as well. 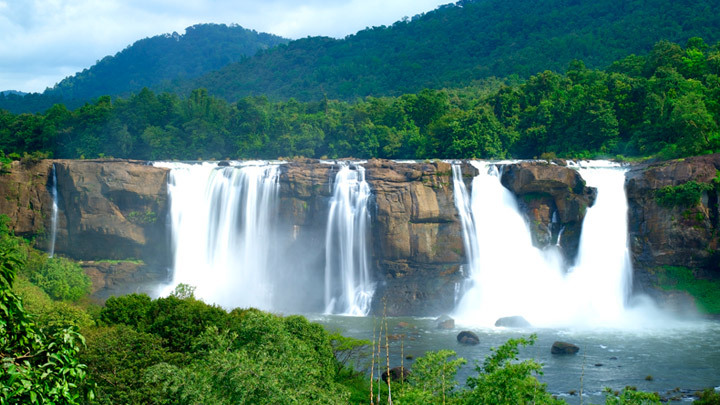 When you think about Athirapally, you think of gushing waters and frothy waves hitting against huge rocks. It has one of the most enchanting waterfalls in India. Athirapally is rich in bio diversity and you will have multiple opportunities to spot animals and plants that you have never seen before. Apart from these, the Vazhachal Waterfalls are unexplored and are lush with flora and fauna. If you search the most beautiful train rides in India, the train ride from Ernakullam to Kollam is always going to be on the list. Encompassed by coconut trees, paddy rice fields, backwaters and lakes the only colours you will see splashed through the journey are blue, auburn and bright green. If you are a nature lover, this ride is sure to enchant you. 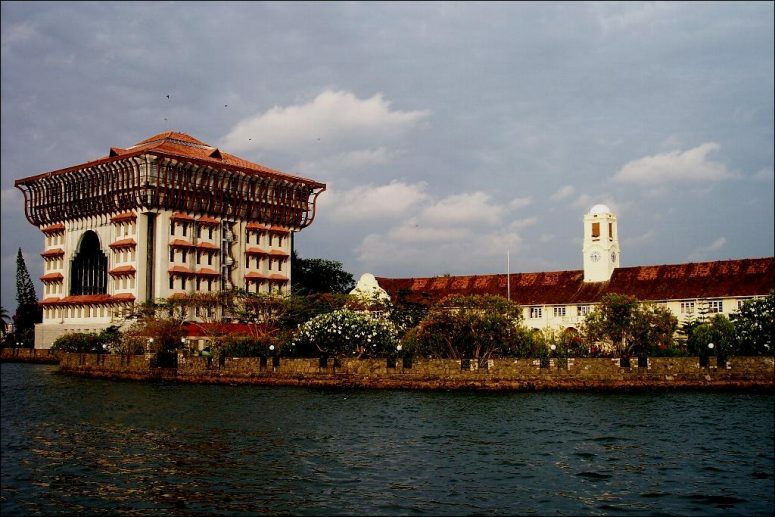 Mattancherry Palace was built by Portuguese and is one of the most sought after places in Cochin. Adorned with multiple murals, this two storey palace is infused with architectural and colonial influences at the same time. It even has a temple in the center of the deity worshipped by the royal family, Pazhayannur Bhagavathy. Kerala has a lot of influences of Dutch and Portuguese and Jewish cultures in their way of living. The Indo Portuguese Museum is another example of this. Built out of the constant efforts of Dr Joseph Kureetha, this is an inerasable mark in the history of Indo-Portuguese Christian Art heritage. The museum has five divisions showcasing Altar of Furniture, Treasure, Procession, Civil Life and Cathedral. Another place worth visiting is Paradesi Synagogue. It is the oldest synagogue in all of the commonwealth countries. Its charismatic glasswork and paintings will take your breath away. If you want to explore Kerala culturally and know about their folk and classical art culture, the perfect place to visit is the Kerala Folklore Museum. They display folk and tribal performances every day and is an amazing experience. . You will also get an opportunity to visit the oldest church ever built in India called the Santa Cruz Basilica. It emanates historical glory and pride. Thomas cook offers some of the best and most reasonable Kerala tour packages for couples and ensures your honeymoon is made a memorable one.